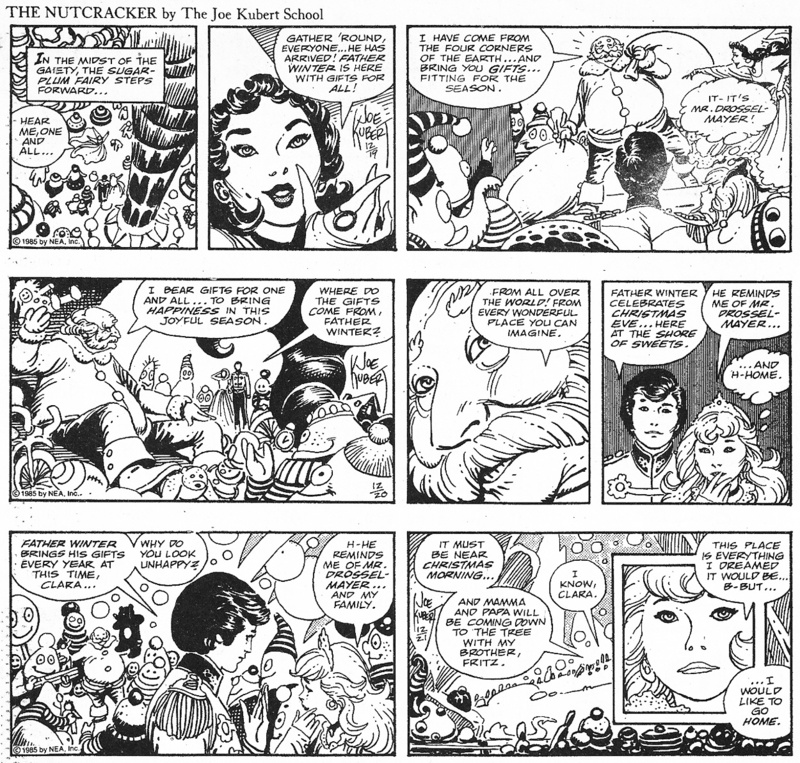 The dailies shown above were originally published December 2-25, 1985. I don’t know if Sunday pages were also produced. If anyone knows please drop me a line! “I talked to Joe right before his death about this as I own (among other Kubert originals ) a Big Ben Bolt original that looked like his work. him. They are often a mix of his direction and the students art . 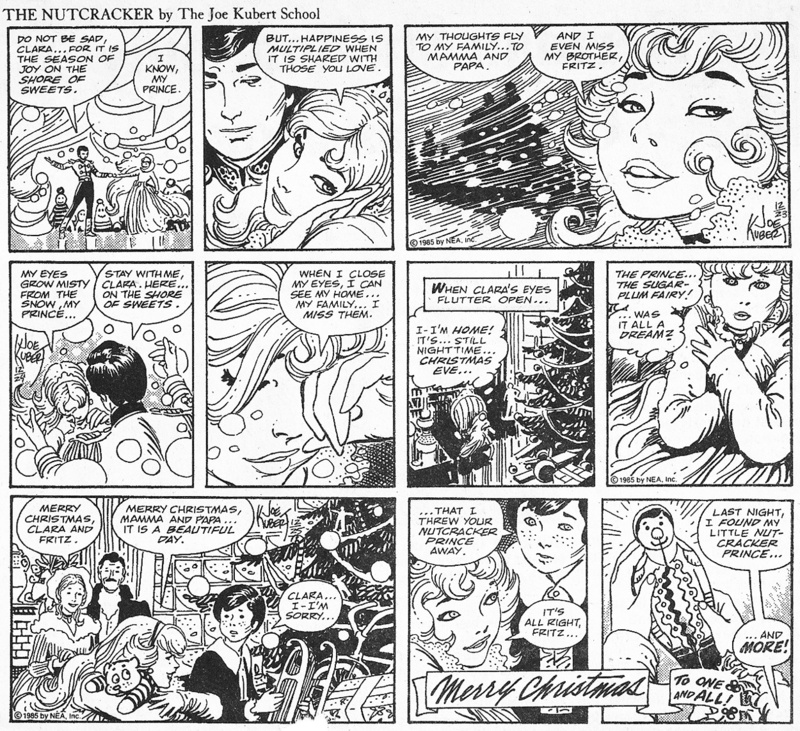 “You probably know by now that the NEA Christmas strips were daily only. 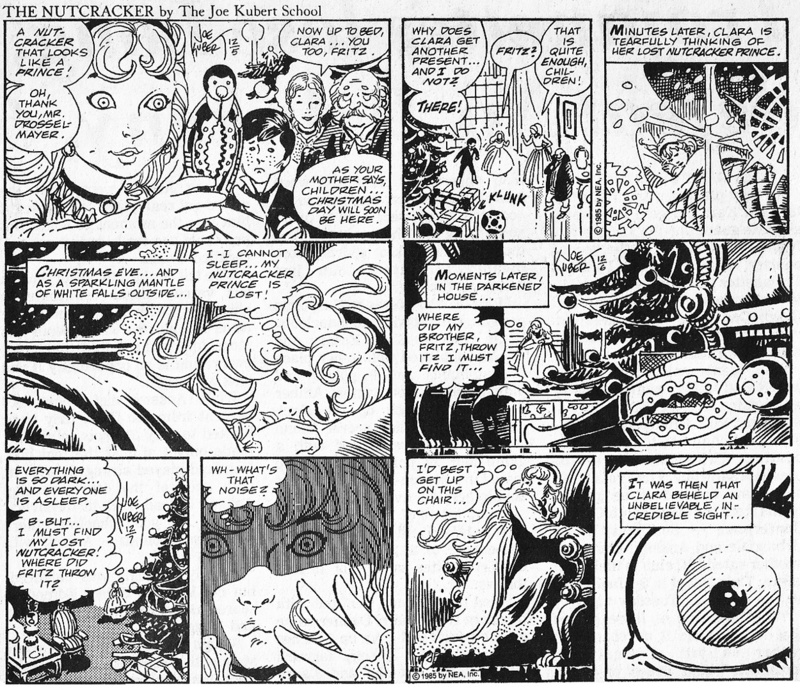 Joe Kubert and School did the seasonal strip from 1982 through 1985.
and 1983 (Gifts of the Magi) strips. 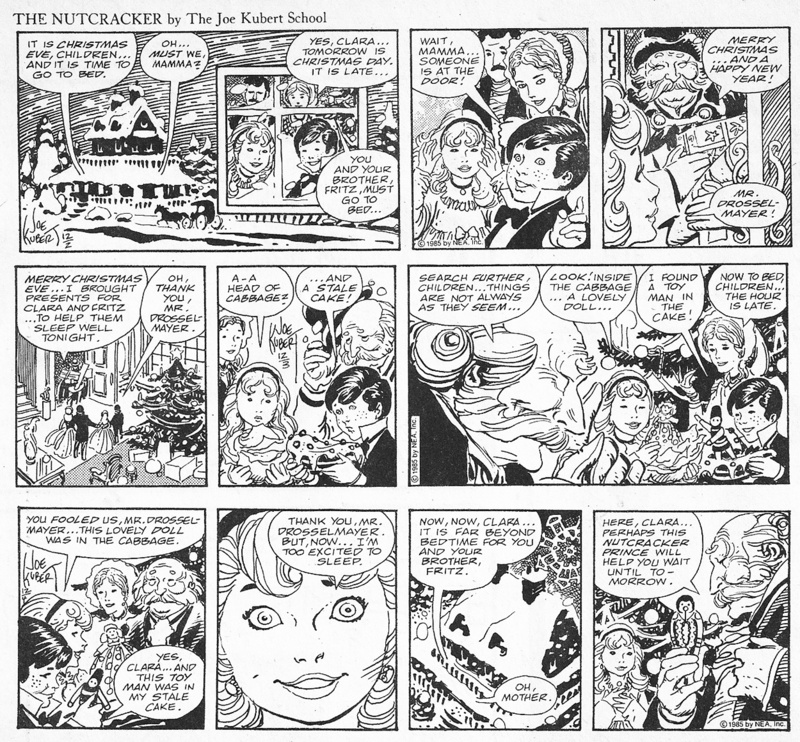 Unfortunately they switched over to the Disney/King Features Christmas strips in 1984, so I hadn’t seen The School’s Hans Brinker (1984) or their 1985 The Nutcracker – until now (thanks again). 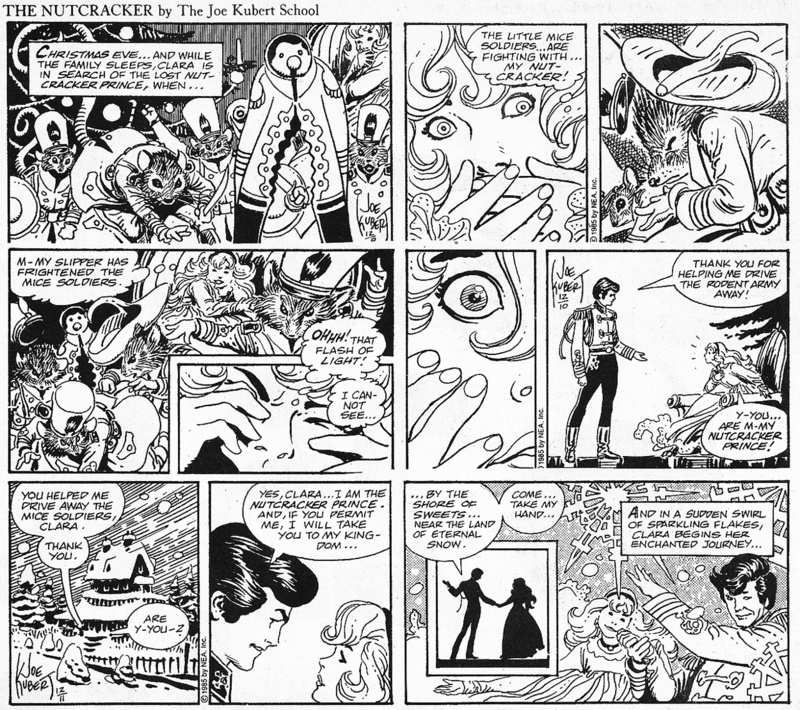 Yeah, they all look like Joe Kubert was deeply involved. 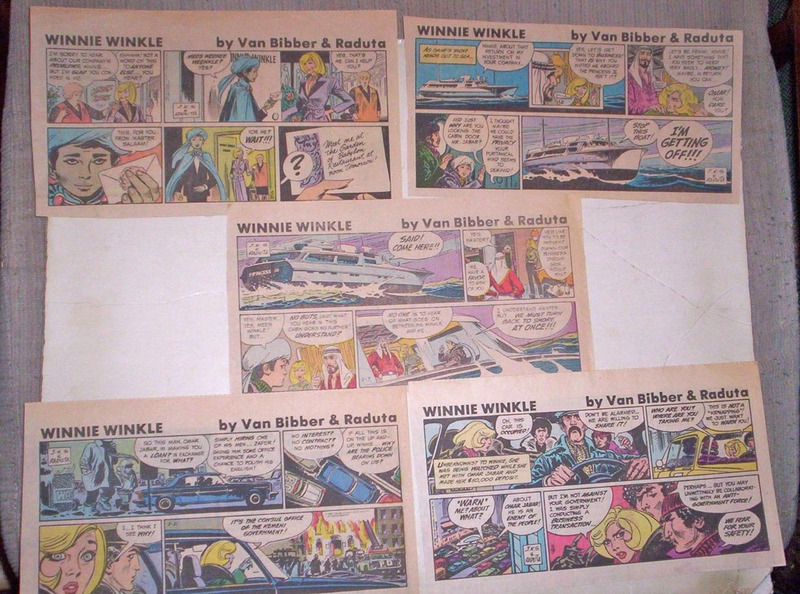 In 1981/82 the Joe Kubert School drew the Winnie Winkle strip. Some of those look like Joe took on more of a role of layout/art director and let the young’uns go at it. 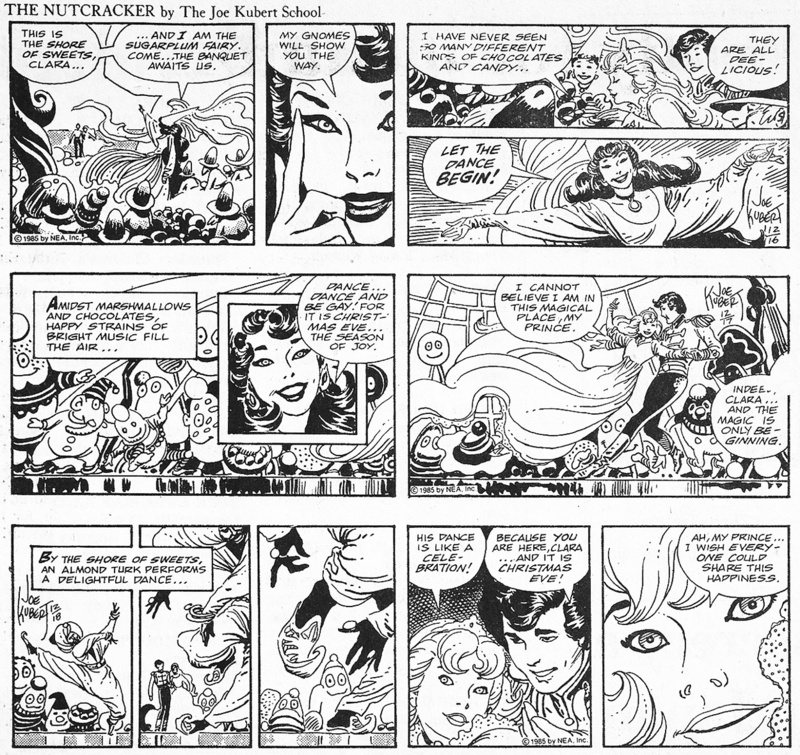 These were actually signed J.K.S., for Joe Kubert School. D.D.Degg mentions “they switched over to the Disney/King Features Christmas strips” – which coincidentally I colored in the 90s when I was on staff at King. 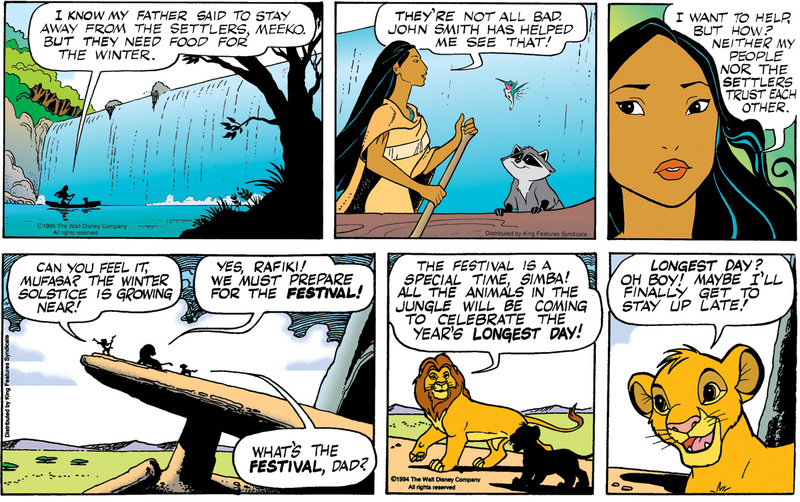 Examples of Disney holiday strips I colored for King Features. Many thanks for the added info – greatly appreciated! 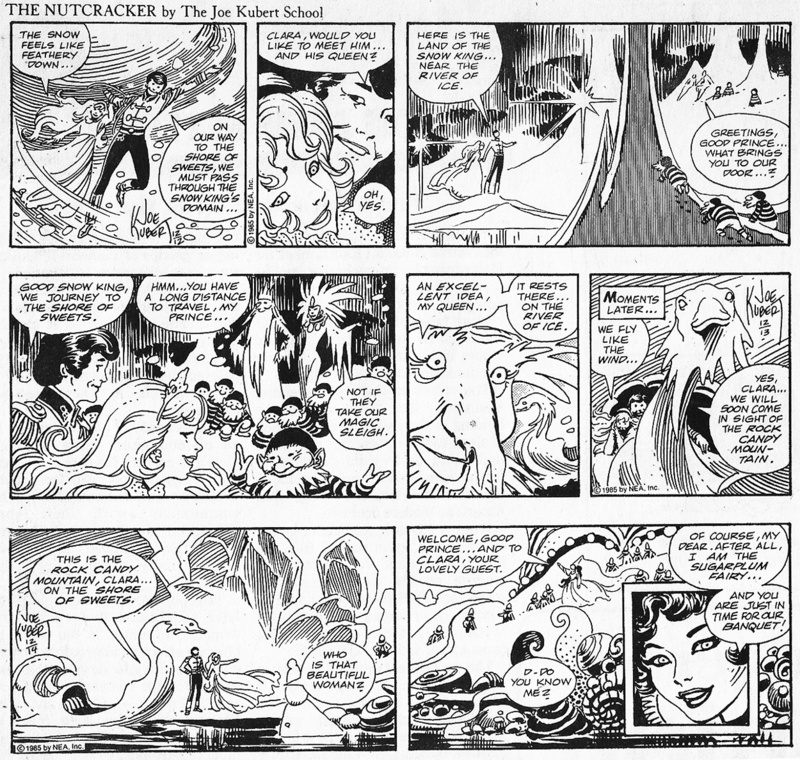 This entry was posted in Joe Kubert and tagged Joe Kubert, The Nutcracker. Bookmark the permalink.